Cycling is gentle on the joints - until it’s not. Here's how to identify and alleviate your pain. If you’re a cyclist who’s ever felt the sharp twinge in one or both of your knees, you’re not alone. Knee pain is the most common lower-body problem among us pedal pushers, with as many as 65 percent of us experiencing it, according to one study. Most knee pain comes from “overdoing it,” as they say. You ride longer and/or harder than your body is conditioned to, which strains your connective tissues, causing inflammation and pain. But what about those spontaneous twinges of crank-stopping knee pain? 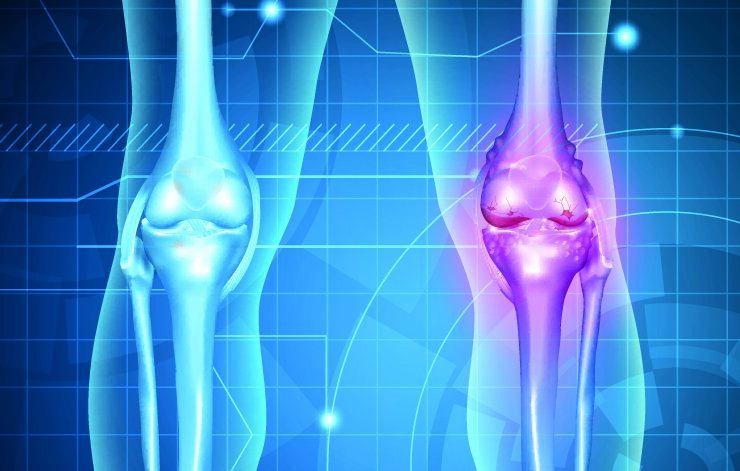 It might feel like they came out of nowhere, but they’re usually just the first noticeable symptoms of a long-brewing problem, and can leave you wondering why your knees hurt so much. The culprit is generally improper equipment and/or bike position, says bike-fit specialist Michael Veal of BikeDynamics in Warwickshire, England. “Many cyclists are forever tinkering with their position, looking for that elusive perfect position,” he says. But what feels just right for a few pedal strokes around the block can end up feeling pretty wrong after 113 kilometres of roads. A good bike fit is essential for preventing most causes of knee pain. But before you head to a bike fitter or medical professional, try a little self-diagnosis. Here’s a guide to help you trace what hurts back to the source. Pain in the front: When your knee hurts right on the kneecap (patella), it’s generally a product of your powerful cycling quads. Your quad muscles attach to the shin via the patella, and when you’re pumping, they could deliver too much shear force across the joint. Bike-specific issues to check for include saddle height; saddle fore and aft, and/or crank length. Riding with your saddle too far forward also can cause knee pain in the front, says Veal. “Your saddle should be positioned so the tibial tuberosity – or the bony bit below the kneecap – is directly above the ball of the foot, which in turn should be above the pedal spindle,” she says. Also, be mindful of your form. Big-gear mashing, climbing in monster gears, and hard sprinting (especially if you’re not conditioned for it) can put undue stress on the knee and cause this type of pain. Pain in the back: Pain behind the knee is less common than pain in the front, and is generally easier to trace back to a culprit: over-extending the knee, says Bresnick. Your saddle is too high or too far back. “Try lowering the saddle a bit or moving it forward a bit in relation to the handlebars,” she says. This pain is also more common among cyclists who spend a lot of time on fixed-gear bikes; when you ride fixed, you use your hamstrings to decelerate your pedal stroke, which can put the biceps femoris tendon (a hamstring muscle that runs down the back of your leg toward the outside of your knee) under too much load and irritate it. Giving your legs a break with some freewheeling now and then can also help. Pain on the inside: When you feel pain on the inner (or medial sides) of your knees, look down at your feet: Improper cleat placement is often a culprit, says Veal. Your cleat position affects your Q-factor, which dictates how far apart your feet are laterally when pedalling. Ideally the spacing should be such that the loads from your knees to your pedals are travelling vertically without pushing the knee inward or outward, which stresses the collateral ligaments on either side of your knee and can lead to pain. Cleats positioned too close to the insides of your cycling shoes increase the distance between your feet, which can stress the inside collateral ligaments and cause pain in the inner (or medial) sides of your knees. Too much float in your pedals also can cause medial knee pain. A little float – about 4.5 degrees – is all you need to be comfortable and keep your knees from getting stressed. Pain on the outside: Pain on the outer (or lateral) sides of the knees is often caused by iliotibial (IT) band syndrome – a stabbing pain that happens when the IT band (a fibrous connective tissue band that runs from the hip along the thigh to the tibia) becomes stressed and inflamed. “Misaligned cleats that cause the foot to be excessively toed in can cause this,” says Veal. So can cleats that are placed too far to the outsides of the shoes, causing too narrow of a stance on the bike. Of course, what you do on your bike will also go a long way to promoting or alleviating knee pain. Here are some tips to assure it’s the latter. Warm Up: Just as with most sports, a little warmup to get blood flowing and muscles primed is a good idea. As a general rule, aim for at least 15 minutes of moderate spinning before you attack the local climb or go hard on the flats. Spin: Look at video of the pros in action, and you’ll notice their rapid and fluid pedal strokes. Try this drill to improve your pedal stroke: The next time you are going up your favourite climb, use a gear at least two teeth lower (thus easier) than usual. This higher cadence is easier on your joints. Think about making round circles as you pedal, not ovals. Build Mileage Gradually: Your first ride after a winter off-season shouldn’t be five hours long. Instead, start with a lower mileage and build slowly, increasing your total mileage no more than 10 percent each week. Beware of Change: Your body likes consistency, so when you alter equipment, your knees often protest. Whether you get a new bike, new shoes, new pedals, or change stem length, go easy at first to give yourself time to adapt. Stay Warm: Riding in 6-degree weather with red, chapped knees is a recipe for trouble. Pros routinely cover their legs in training when the temperature is below 15 degrees – that’s why knee warmers exist! While each individual’s tolerance will differ, there’s certainly no harm in keeping muscles and joints warm. By using warmers, you can easily slip them off mid-ride if you start to warm up. Get Fit: If knee pain persists, consider getting a professional bike fit. It could end up being the best money you ever spent on your cycling habit.